Ind Vs Aus - The titans India and Australia fight for supremacy once again as they clash in the 3rd ODI of the 7 match series of the Hero Honda Cup 2009. The series is already squared at 1-1. The momentum is now India as Australian hopes of winning the series dashed when their players injured. With Ponting's views and Concerns, we analyse the two teams India and Australia ahead of their clash in the 3rd ODI of the ongoing Hero Honda Cup 2009. The biggest update ahead of the match was that Brett Lee is out of the series and will fly back to Australia. James Hopes is out of the 3rd ODI. Graham Manou has replaced the injured wicket keeper Tim Paine. Hence Australia move into the 3rd ODI with a depleted side. Mitchel Johnson is injured but is still expected to play in this match to reinforce the bowling line up. Ricky Ponting was disappointed as they missed a practice session on Friday due to wet pitch. India on the other hand had their session, as the pitch dried by the time they had to practice. Death Bowling has been a major concern for the Aussie Captain as they went for more than 100 runs in the last ten overs in the Nagpur ODI. Harbhajan Singh and Praveen Kumar were on top of the Australian Bowlers. Ponting had already said that a 7 match series is too long. But with already 2 matches over, this would have to be a 5 match series. Hence Ponting wants his team to start afresh. The major difference between the 1st two ODI's and the 3rd ODI will be the pitch. The pitch at the Feroz Shah Kotla is not a flat track. 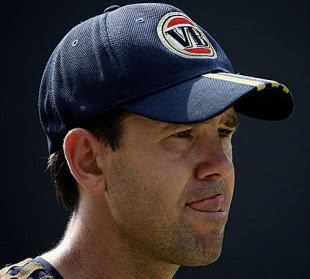 In fact Ponting went on to say that he may be forced to play two spinners. Hence it will not be a high scoring affair on saturday. But rest assured, these two teams can be unpredictable given the nature of pitch that they are playing today. With no injury worries, Team India will most probably go in with the same line up. The momentum is with India and hence they don't want to experiment with the line up. However Sachin Tendulkar has not fired in the series. He will be expected to score a few runs atleast to reach another milestone of 17,000 runs. Bowling is still a concern, though wickets were picked by all the bowlers combined. For Australia, these are testing times as they face injury woes. The top order needs to fire to score big. But its the bowlers who have disappointed more than any body else. But with the pitch playing slow, Australians would look to bounce back in this ODI Series. Meanwhile Moises Henriques is expected to make his debut on saturday.